This quinoa shiitake bowl with tempeh and spinach is the perfect make ahead lunch! 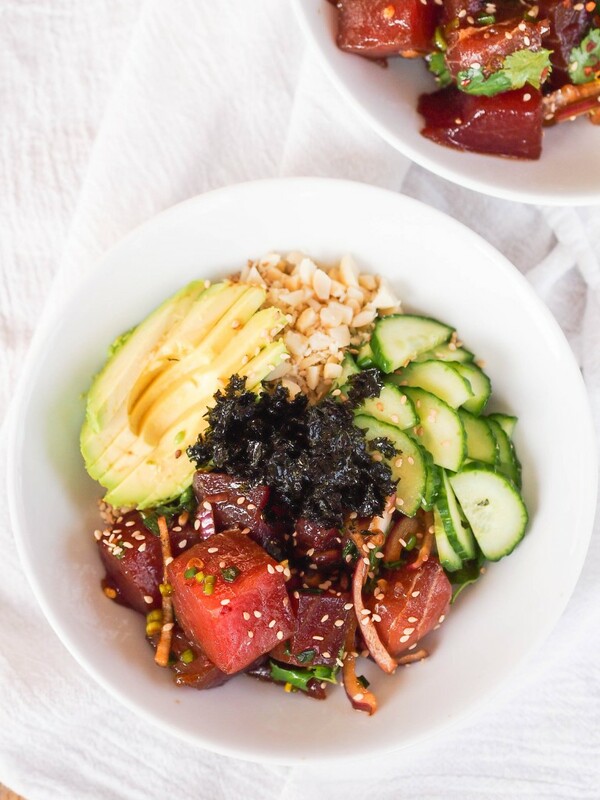 Top with avocado and a drizzle of sesame oil for healthy fats and fermented veggies for probiotics! It's no secret I'm big on self care. It's a lesson I've learned the hard way, and to be frank, am still learning. As a business owner who wants to be the best possible dietitian for my clients, I know I can't pour from an empty vessel. 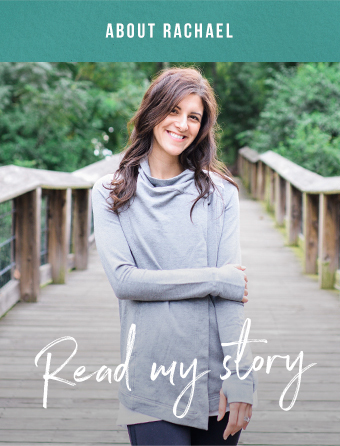 I see the consequences of neglecting self care every day in my office - emotional eating, illness/digestive issues, fatigue, poor food choices, etc. I'm a big fan of starting the day with self care. In fact, in our Joyful Eating, Nourished Life program, we have an entire tutorial on how to start a mindful morning routine. Although I've had a semi-consistent routine of waking up a little earlier for a light deep breathing/meditation exercise, one thing always got in my way - the snooze button. Gah I love it! I'd end up hitting it excessively, then get worried about being late to work, despite the fact that I work for myself and no one's checking. It turned my whole morning into a big frazzled rush and made meditation feel like a chore, rather than an act of self care. But you know what I've realized? I just really like hanging out in bed for another fifteen half asleep minutes. The bed feels so cozy after waking up, and I just want to linger in it a little bit longer. It feels so luxurious! So, I decided to drop my guilt over not being a morning person. I set my alarm for 6 AM, knowing that I'm going to hit the snooze button once or twice. I still make time for my morning meditation, and if I'm a little late starting work, then so be it. I know it makes zero sense to wake up earlier just to sleep in later, but you know what, it has completely transformed my day. I left my yoga mat at work a couple weeks ago and y'all, it's been a game changer. Between client sessions or writing sessions, I can just break out my mat and lay in child's pose for five minutes to chill. Or if I need a little more movement, I'll put on a you tube yoga video. I'm a big fan of Yoga with Adriene. If your office isn't so conducive to breaking out a yoga mat, try taking a break for progressive muscle relaxation or desk yoga. It's been so pretty outside lately. Yesterday it was almost 80 degrees here in Columbia! I've been taking advantage by getting some work done outside when I work from home. Hopefully it will motivate me to actually finish up landscaping the backyard this spring ;) Another self care bonus is bringing the dogs outside with me. Pets have been shown to lower blood pressure and anxiety, plus I feel like it's probably better for me to get distracted by the dogs being adorable instead of social media. Would love to hear if you have any creative ways you've been practicing self care! Feel free to drop a line in the comments. Today's recipe is a total winner, especially for my fellow grain bowl lovers. I'm a big fan of grain bowls, which are essentially hearty, grain based salads. This one is especially good with chewy shiitake mushrooms - my personal favorite! You could drizzle it with an Asian dressing if you like, maybe my peanut dressing or a scoop of my Asian guacamole. I kept it simple with a drizzle of chili oil and tamari (soy sauce). Sneak in some probiotic goodness with a scoop of feremented vegetables. I used ginger beets by Farmhouse Culture (thanks for the samples!) but you could also use kimchi or any brand of fermented kraut. Preheat oven to 375 degrees. Spray a baking sheet with olive oil. Toss tempeh with five spice powder, salt and pepper. Spread evenly on the baking sheet and spray tops of tempeh with oil. Bake 15 minutes, flip and bake 10 minutes further. Rinse quinoa in a fine mesh strainer. Bring quinoa and 2 cups water to a boil. Reduce heat, cover and simmer until quinoa is tender and water is absorbed, about 20 minutes. Let sit covered 5 minutes to finish steaming, then remove lid and fluff with a fork. While quinoa is cooking, heat 1 tablespoon sesame oil in a skillet on medium heat. Add spinach and cook until wilted. Season with salt and set spinach aside in a bowl until ready to use. Wipe skillet clean, add remaining tablespoon of sesame oil and heat on medium-high. Add mushrooms and cook until golden, about 4-5 minutes. Divide quinoa between four bowls. 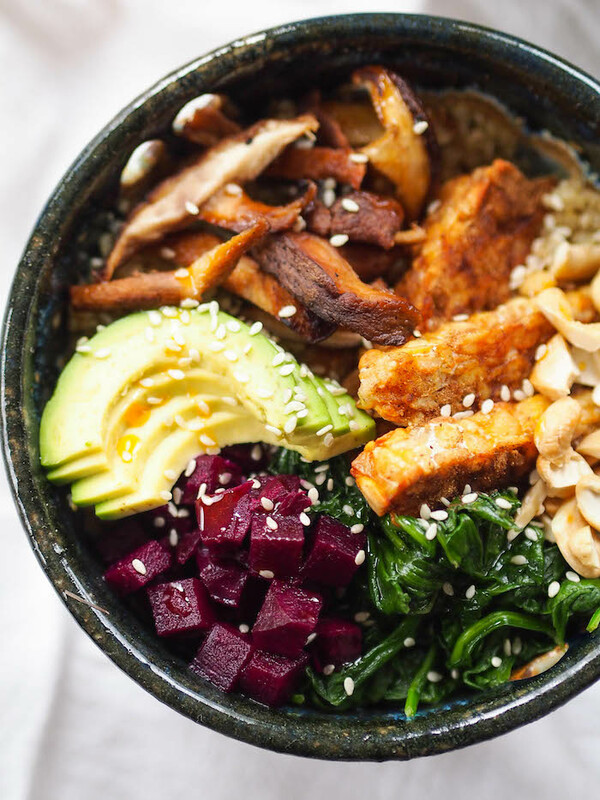 Divide tempeh, spinach, mushrooms, avocado slices, fermented vegetables, and cashews among the four bowls. Sprinkle with sesame seeds and drizzle with tamari and sesame oil.